Whitefish totalled 14,650 boxes from twelve Scottish trawlers, one Anglo Spanish long-liner and one Anglo Spanish netter. The Scottish effort at Rockall continues to exceed expectations with boats arriving full of haddock, squid and monkfish. The Anglo fleet has drifted south with some vessels on annual break and others landing into Killybegs. The shellfish sector was fairly busy with nineteen landings from visiting prawn trawlers, four landings from the offshore crabber Our Hazel plus the efforts of the local fleet. Non-fishing saw the MCA-operated emergency towing vessel Ievoli Black in for Round the Pier Day, the cruise liner Variety Voyager in for a day visit and the fish-farm support vessels Ossian and Challenger of Leith day-running. The Community Workshop and Changing Place project has stalled due to issues with the floor screed which will hopefully be resolved this week. It was anticipated that the project would be completed by the end of July but this seems unlikely now; apologies to those of you who are waiting to make use of the new facilities. 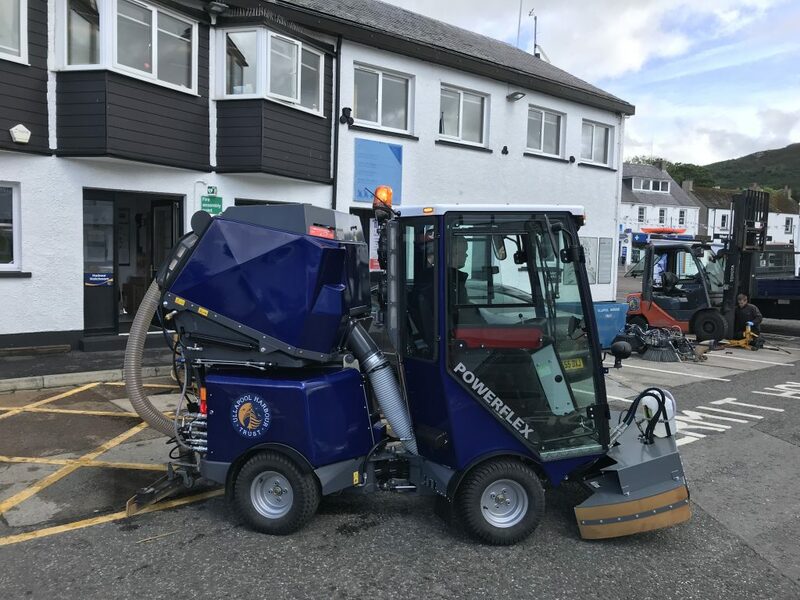 The harbour took delivery of a new street sweeper and scrubber dryer vehicle this week. The primary function of the new vehicle will be to scrub the deck of Loch Seaforth to remove runoff from fish lorries plus any other freight mess. The machine will also be used to sweep the piers and ferry car parks which will reduce the amount of twine, netting and litter that seems to make its way onto the shore front.